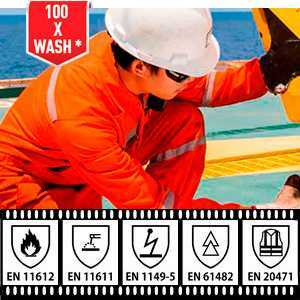 Poseidon 300 is a high quality poly-cotton fabric with high content of cotton, improved by addition of polyester and antistatic yarn. 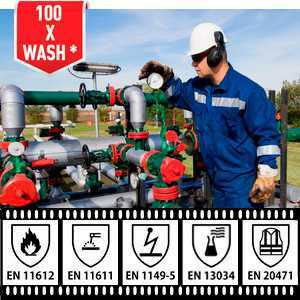 It is developed for workers of Oil and Gas industries and it suits well both for rig-chiefs jackets and trousers and for oil-pipeline workers uniforms. 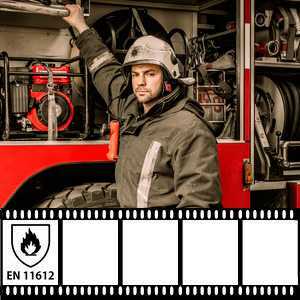 The fabric with modern 2/2 twill weave is very comfortable to wear, has much better then pure cotton tear resistance and has excellent antistatic properties. 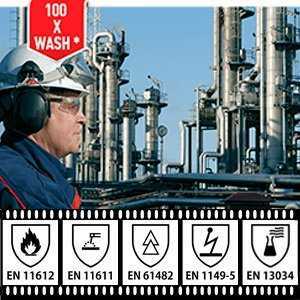 An optional Multi-Risk treatment, makes it water repellent and also resistant to the influence of acids, alkali, grease and oil. 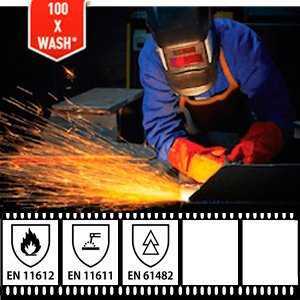 This fr-fabric protects from Heat & Flame, Electric Arc and has Multi-Risk protection. 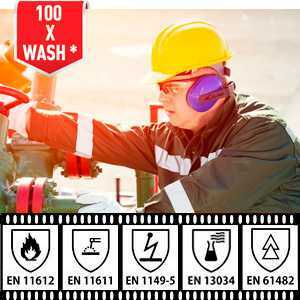 Poseidon-300 is certified according to ISO 13034, ISO 11611, ISO 11612 & EN 1149-5. 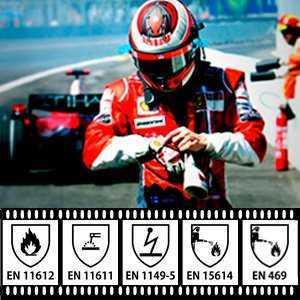 The testing for this standards has been done in AITEX (Spain) and BTTG (UK) labs. 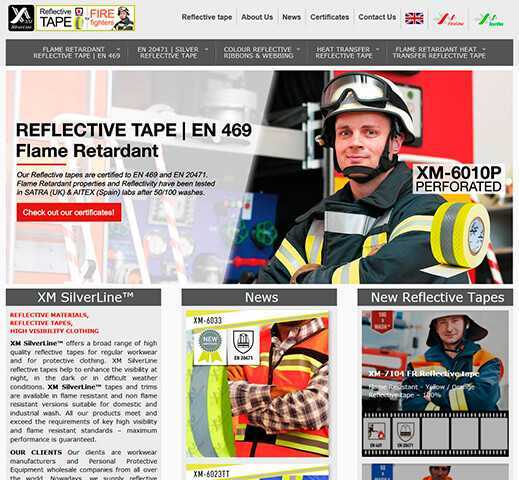 XM FireLine Flame Retardant fabric Sonora-185 is a light protective fabric for hot climate made of 80% Cotton / 20% Polyester with flame retardant finishing. 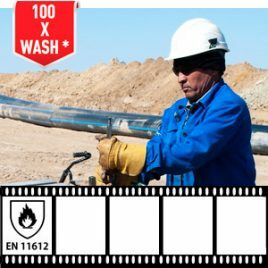 The areas of use might be Transportation of Oil & Gas (pipelines workers), Petrochemical (refineries staff), Utilities (Electrical/Water/Gas service companies personnel) etc. 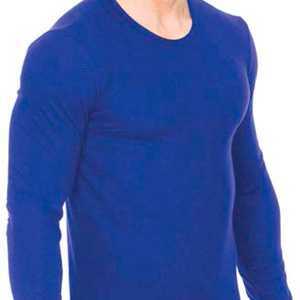 High quality cotton rich blend, improved by addition of polyester, provides that Sonora-185 flame retardant fabric combines comfort of natural fibers and durability, higher tear resistance and better colorfastness of polyester. 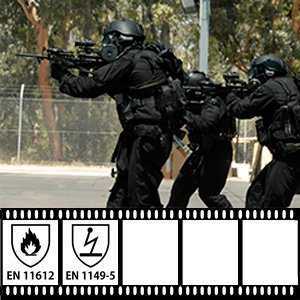 XM FireLine Flame Retardant fabrics FR-CVC create our collection of protective fabrics made of 80% COTTON/20% POLYESTER with flame retardant finishing. 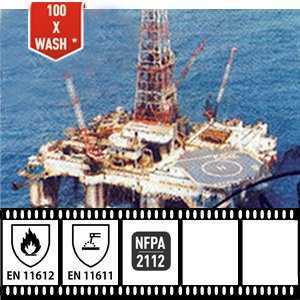 These protective fabrics are best used in a broad range of industries including Transportation of Oil & Gas (pipelines workers), Petrochemical (refineries staff). 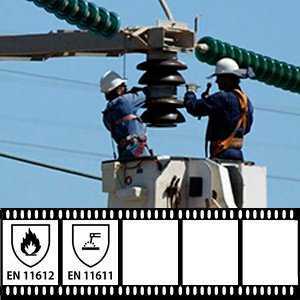 Utilities (Electrical/Water/Gas service companies personnel) etc. 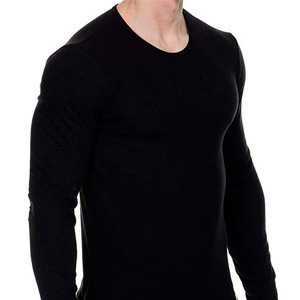 High quality cotton rich blend, improved by addition of polyester and antistatic yarn, provides that these fr-fabrics feature high quality of natural fibers and durability of polyester such as higher tear resistance and better colorfastness. Strong, Comfortable and Versatile – our FR-CVC blend has most of the comfort of natural fibers, enforced by strength of artificial fibers. 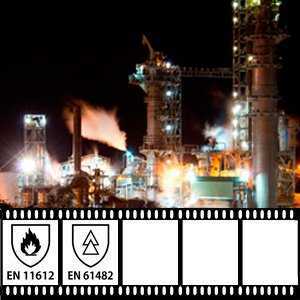 By means of chemical treatment the blended fabric becomes flame retardant. Using extra finishing makes these Poly-Cotton fabrics withstand the impact of Water/Rain, some Alkali and Acids, Oil and Grease. 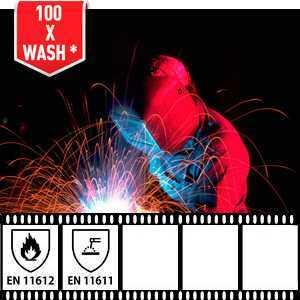 XM FireLine FR-CVC fabrics are certified according Oekotex standard 100 that ensures no harm to the wearers. 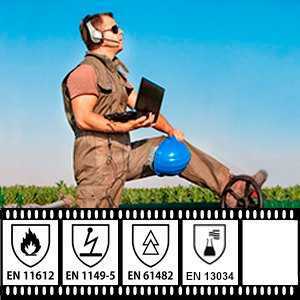 Anti-Static Protection – our FR-CVC fabrics have high quality Belltron carbon antistatic yarn embedded in their structure. 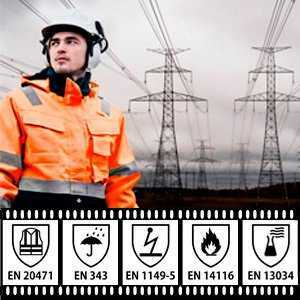 That gives to the wearer extra protection against possibility of Static Electricity sparks, which might be very dangerous in explosive atmospheres of Refineries or Oil Terminals. 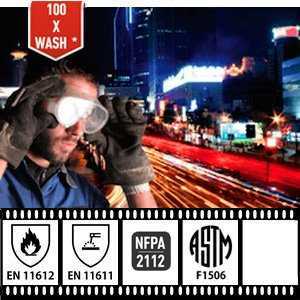 Multi-Risk Protection – Using protective clothes made from our XM FireLine FR-CVC fabrics can guarantee to your workers that they are safely protected against Multiple Risks such as – Flash Fire, Electric Arc, Chemical splashes. 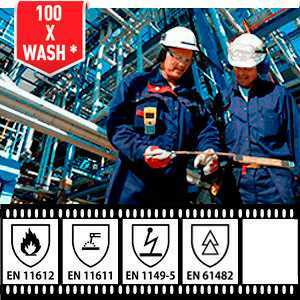 Rain, Electrostatic Discharge (ESD). 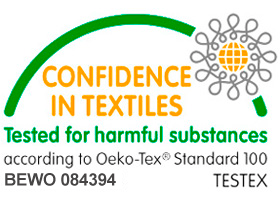 Internationally Certified – our FR-CVC fabrics have been certified to main European standards. 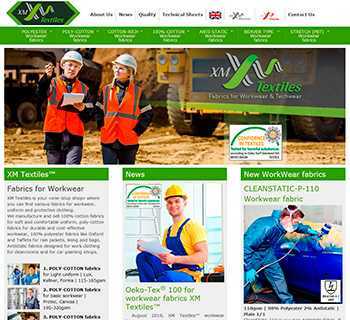 We have done this extensive testing for each of our fr-fabrics in first class world laboratories such as BTTG (UK), AITEX (Spain), UL (USA). 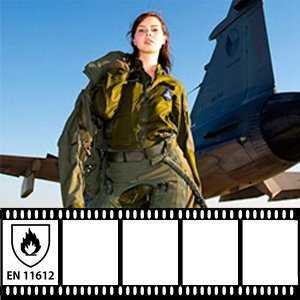 All the Certificates are available on our website. Proven Protection – ISO 11612/11611, EN 61482, ISO 13034, EN 1149 – these are the standards, to which we have successfully tested our FR-CVC fabrics. 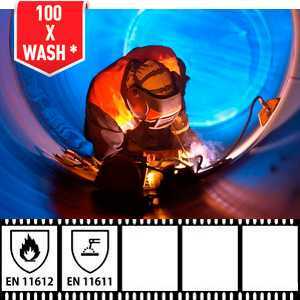 FR-treatment that stands 100x washing – our FR-CVC fabrics keep flame resistant properties after 100 and more washings, this fact has been proved by testing in well-recognized Underwriters Laboratory (UL). 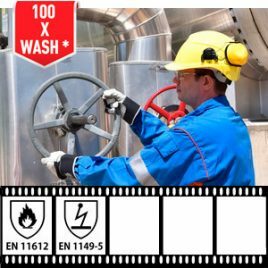 FR-garments provide necessary level of protection in many industries and keep flame resistant properties after 100 and more washings. 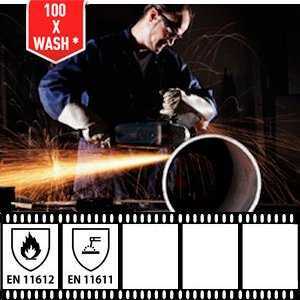 That means FR-CVC clothing keeps its protective features during the whole life of a garment. To provide proper protection level please follow care instructions.